I am American. Born in California, just like my parents and grandparents, but I married a Canadian and moved to British Columbia in 1995. 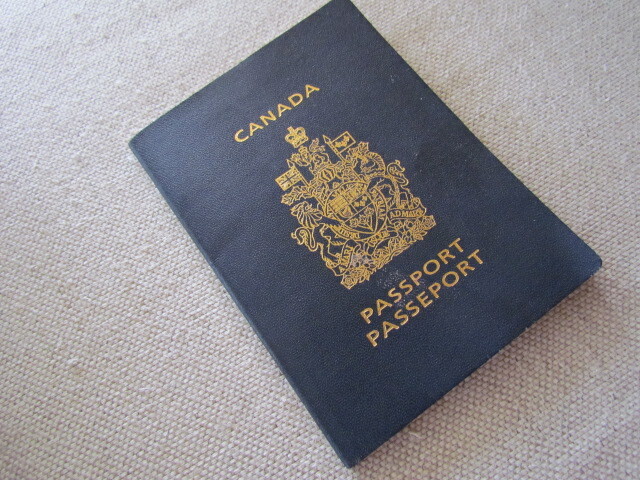 I thought maybe someday I would “go for a dual citizenship thing” but nothing much came of it. Why would I want to pursue that? I had permanent residency and other than voting and passports there was not much of a reason to “become Canadian”. 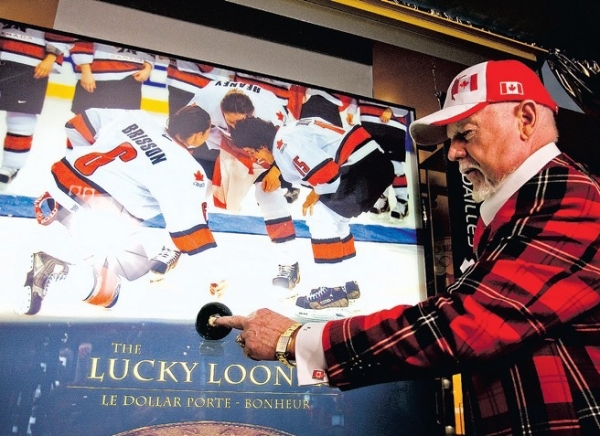 In February 2002 Canada and the United States squared off in the Olympic Men’s Gold Medal hockey game in Salt Lake City. Remember? Gretzky and the Lucky Loonie? First time Canada brought the Olympic Gold home in Men’s hockey in 50 years? The Canadian Women had just won their gold medal against the US and I had loved watching that game–really gotten into it. I was in Vancouver for the Men’s Final and decided to watch it at GM Place on the big screen TVs (Sorry Roger’s, it will always be GM to me!). It was just me and about 5,000 others. I was crying and yelling out “O Canada” all alone…with 5,000 other Canadians. The mob spilled into downtown Vancouver, Granville, Georgia and Robson Streets. I spent the next 2-3 hours honking the horn of the Tinhorn Creek van up and down Robson Street–well maybe only twice as it was gridlock–while waving a Canadian flag and high-fiving endless drunk, ecstatic revelers. The horn on the van died before my voice did (true story) and I made my way back to the Listel Hotel to crash. I don’t know if it was when I got back to the room that night or the next morning when I woke up, but my brain was spinning. Why had I cheered so strongly for the Canadian team at the expense of my homeland, the United States? Was I anti-American? I didn’t feel so. I would always be American. But there it was. I didn’t even have the slightest remorse that the Americans had lost–but I still loved the United States. I felt Canadian. I had become Canadian. Probably not overnight but the game had crystalized my love of this country. This was my country now. I was Canadian. The day after the game was a Sunday. I looked up the number for Immigration Canada and called them from my hotel room. An answering machine came on (!) for me to leave my contact information for a Canadian Citizenship application. I realized I had not yet spoken out loud yet that morning. I was so hoarse I could only bark out what was required. 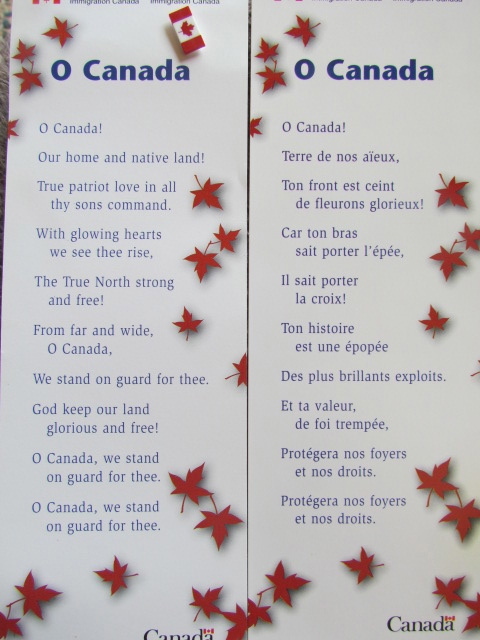 I took my oath of Canadian Citizenship less than 8 months later on October 17, 2002. This entry was posted in Canada, Personal Sandra and tagged 2002, American, British Columbia, California, Canadian, citizenship, Hockey, Listel, Olympics, Salt Lake City, Vancouver. Bookmark the permalink. Meanwhile, back in Forestville, California, I hung a new Canadian flag on our balcony to remind the neighbors that Canada can win too. One of these days I’m going to get my Canadian citizenship as well, but maybe after the Canucks win the Stanley Cup. Cheers, Sandra. Love your cab franc! Go Canucks!!! We can dream the cup will come back to Canada. By the way, Forestville is one of my favourite towns in California. You are a lucky person to live there! It’s a great story Sandra! 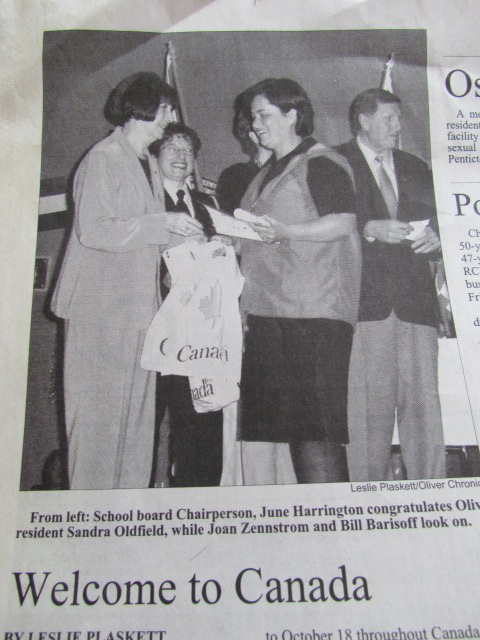 And that newspaper looks like the ol’ Oliver Chronicle brings back memories. It was the Oliver Chronicle. And I had a LOT less grey hair!